We are excited to announce our next giveaway as part of our blog launch celebration. 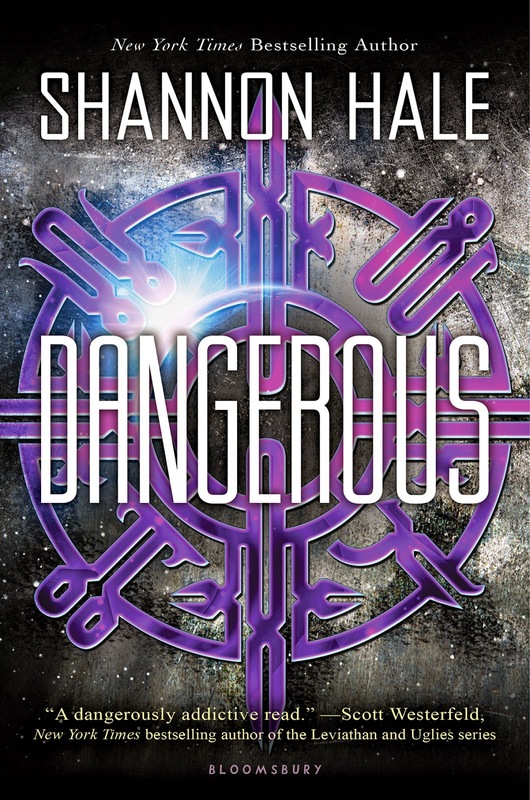 Today we are giving away a signed copy of "Dangerous" by Shannon Hale. We are excited to support her as a local author, and mostly because she's just plain cool. She's a New York Times best selling author, with books like The Princess Academy (Newbery Honor) and Austenland (now a major motion picture) under her belt. She has 18 awesome books published, total. All that AND she's a mother of four. We don't know how she does it all. We got to meet Shannon at the Dangerous Creatures book signing, where she was hosting for Margaret Stohl and Kami Garcia. She was kind enough to chat with us for awhile, and it was great getting writing advice and tips from her! 4. Comment below telling us what you did and why you're excited to read "Dangerous"
Giveaway closes Friday June 13, 2014 at midnight. A winner will be announced June 14, 2014. Congratulations to our winner, Brittney Jenson! Thanks to everyone who entered to win our Dangerous Creatures giveaway, and congrats again to Shaila Nurmuhammed from the UK for winning! Hello literary friends! Tweeted and Facebooked this fun giveaway. I'm SO looking forward to reading Dangerous. Shannon Hale once told me to stop wishing and start writing, every day. And now it's her fault that I now have a nearly complete first draft for the first time ever. I'm really looking forward to seeing how she brings sci-fi to life like she does with fantasy and fairy tales. Officially spread the word! I'd love to win this, partly because I love books with an all-consuming passion. I currently follow Shannon Hale on Twitter, as I've been meaning to read every last one of her books. Sadly, my list of books to read is ever growing and never ending, so I haven't even read one yet. If I win this, it'll be a great place to start! All done!! I love Shannon Hale books! And I love getting free books, mostly because I am a shameless broke. Please donate.